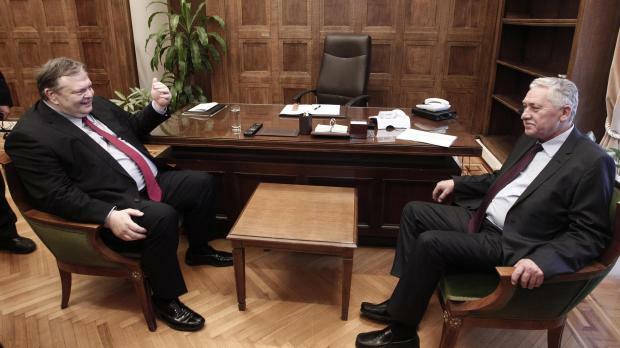 The second day of talks on the formation of the new Greek government has so far seen no major surprises. As we predicted in our response to the election results that we put out yesterday, PASOK leader Evangelos Venizelos' refusal to join a 'national unity government'. unless left-wing SYRIZA were on board, for most part turned out to be political posturing. Things now seem to be heading towards a three-party coalition with election winner New Democracy, PASOK and Democratic Left. Meanwhile, there seems to be a bit of confusion on what Greece could actually achieve from the re-negotiation of its bailout terms - which, according to us, will be a couple of minor adjustments but no changes to the thrust of the agreement. A senior European official is quoted as saying, "If we were not to change the [EU-IMF] Memorandum of Understanding we would be signing off on an illusion. There is scope for revision." He added that a new MoU would be signed "during the summer." However, the prompt reply from European Commission spokesman Amadeu Altafaj Tardio is that "nobody is talking about a new MoU". On a slightly separate note, Die Welt notes that PASOK - the party - is actually proportionally in more debt that Greece itself. It owes banks some €130 million - i.e. 18 times its annual income. Election winner New Democracy is also reported to be heavily indebted. This is partly due to the fact that Greek political parties get state funding based on their share of votes in the general elections, and support for PASOK has been shrinking since its last victory in 2009. How long can the same can be kicked along the same road?